This post is sponsored by Michaels Stores. I am a Michaels Makers project creator and was provided with store credit to purchase products for this post. All ideas and opinions are my own, and I only recommend products I use or would purchase again. 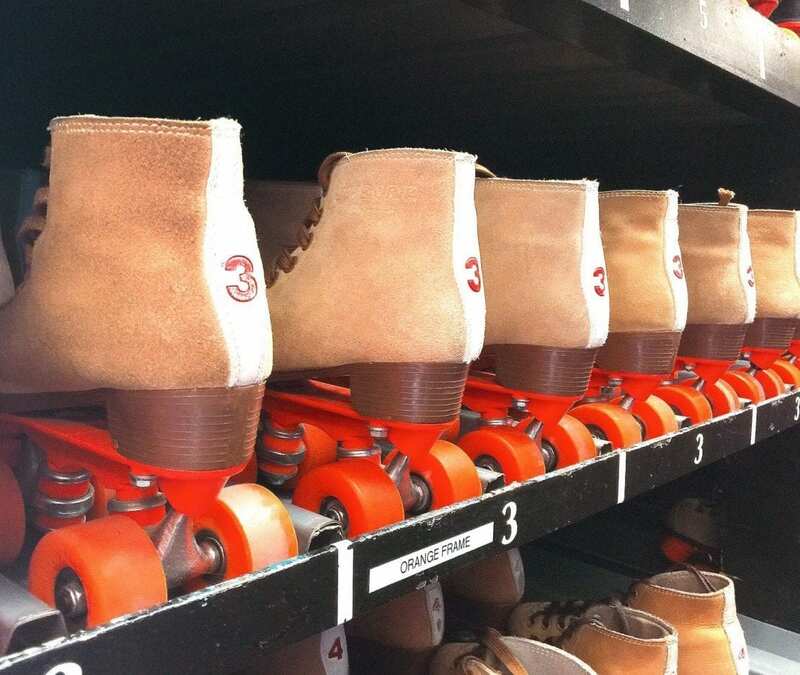 In lieu of goodie bags, we decided to do something different. 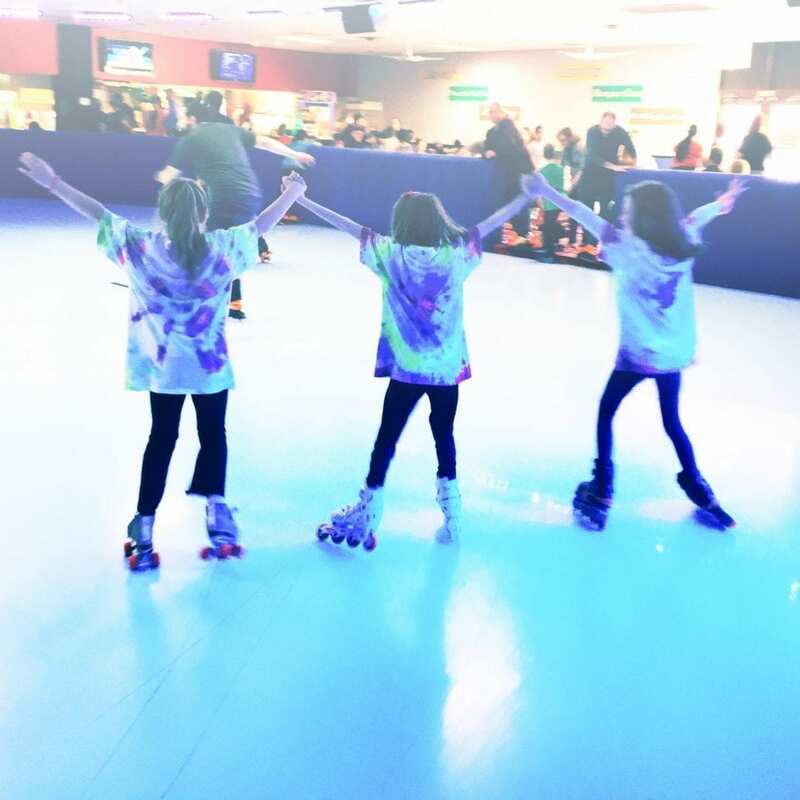 We found t-shirts on sale at Michaels, rainbow tie-dye kits from Tulip with everything we needed (rubber bands, gloves, and dye included), and glow sticks to use while at the roller rink. The best part was dyeing them together a few days before the party. We spent time together hanging out, got to talk about mixing colors and seeing them blend, and creating new combinations and seeing how they turned out. I really enjoyed working on them with her and I think she liked it too. 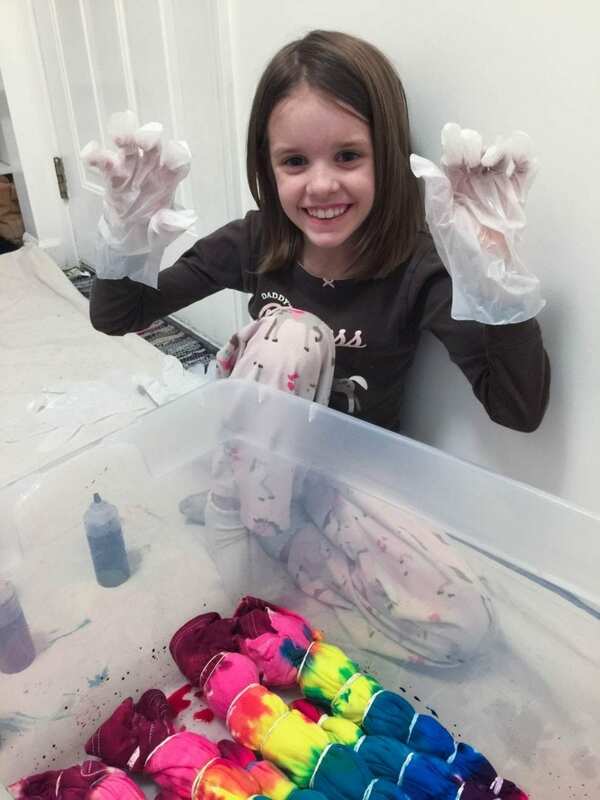 We followed the instructions on the bottle, but found there were a few tricks to getting the super vibrant color from the shirts. Follow the instructions on the bottles! 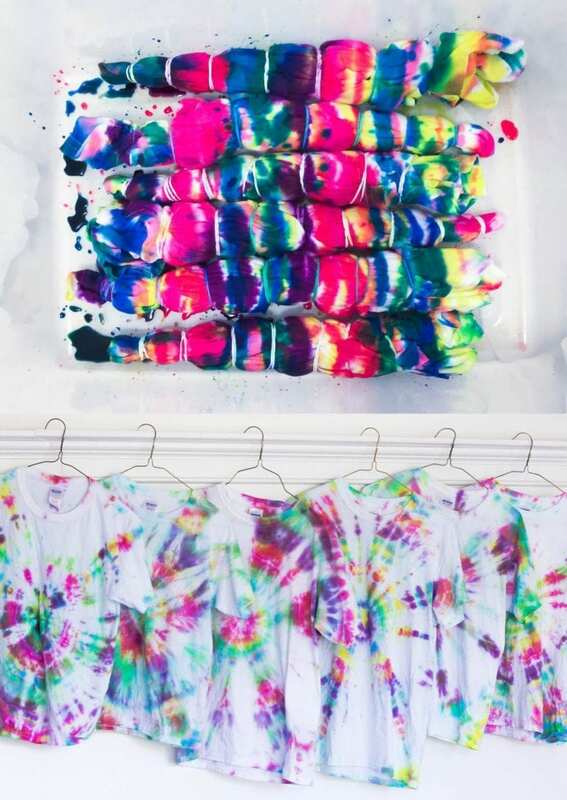 Wrap shirts tightly to allow more white space, especially if you will wear under a blacklight! Wet shirts before dying them. If you can, soak in a soda ash solution, also made by Tulip and near the dye. 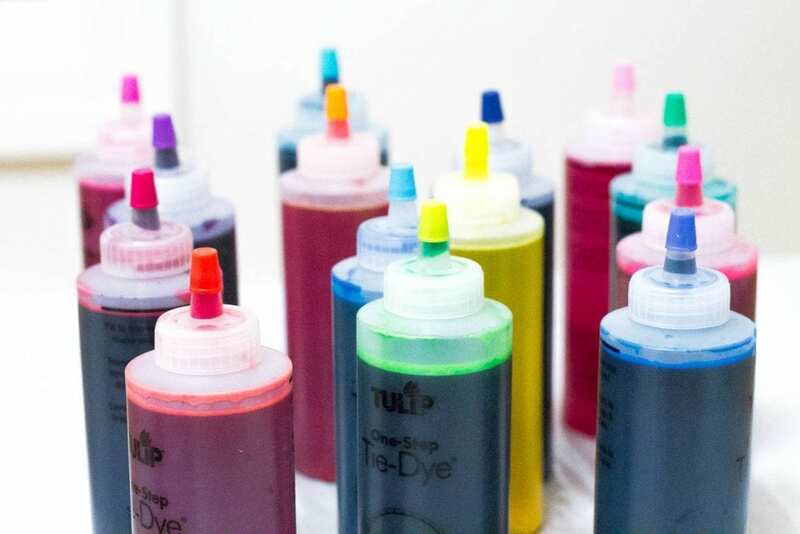 It prepares the fabric for superior dye absorption and maximum color vibrancy. 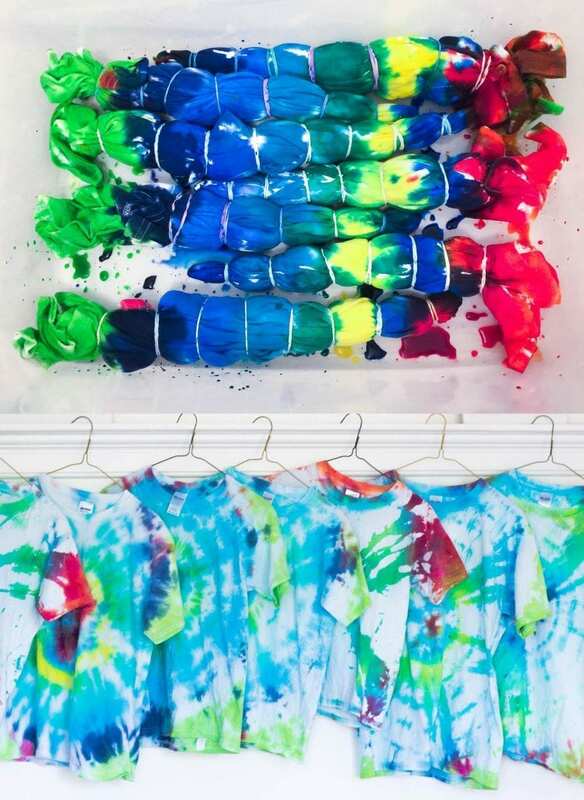 Use a big empty plastic bin, spread shirts out, squirt dye, then wipe down before the next color combos. 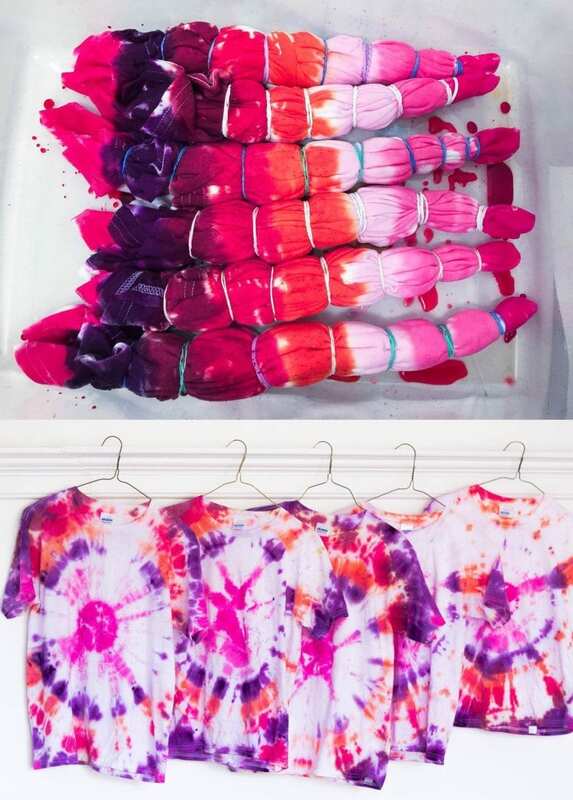 Use a lot of dye, and then use even more. 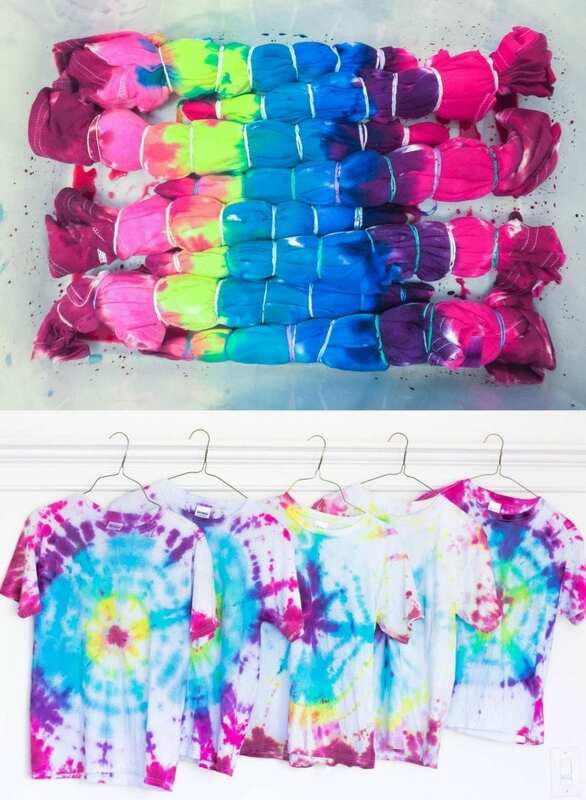 The package says to wrap in plastic and let the shirts marinate with the dye on them for 6-8 hours. A garbage bag works well for this. We let them sit overnight! Some shirts were in there close to 16 hours and turned out even darker. Rinse out in a bathtub a few at a time. Leave them wrapped and rinse, cut rubber bands and rinse some more, then open up and finish rinsing. I washed the shirts on cold, then on a low dryer cycle, and hung to finish drying. Wash shirts alone for the first few washes! Here are the color combinations we used and what the shirts looked like after they were finished. The kids had a BLAST at the party, the birthday girl included. 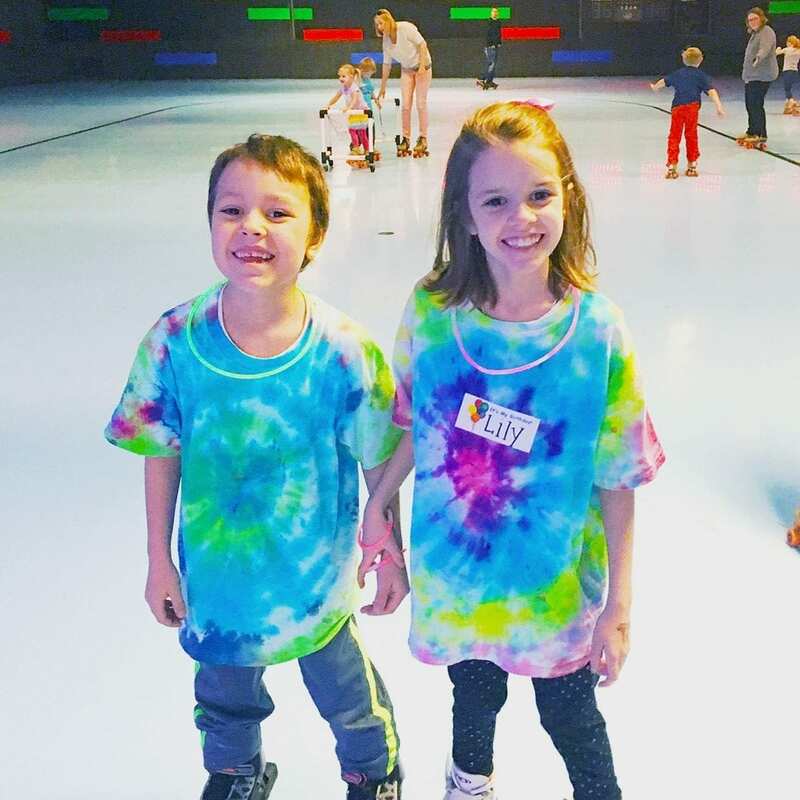 We got some really cute pictures of my daughter and her friends from school all in matching tie-dye. Our littler kids liked that they were included too. The party guests were surprised (and excited) to take home their own shirt. Thanks to Michaels for this month’s challenge! Michaels is your Kids craft headquarters! 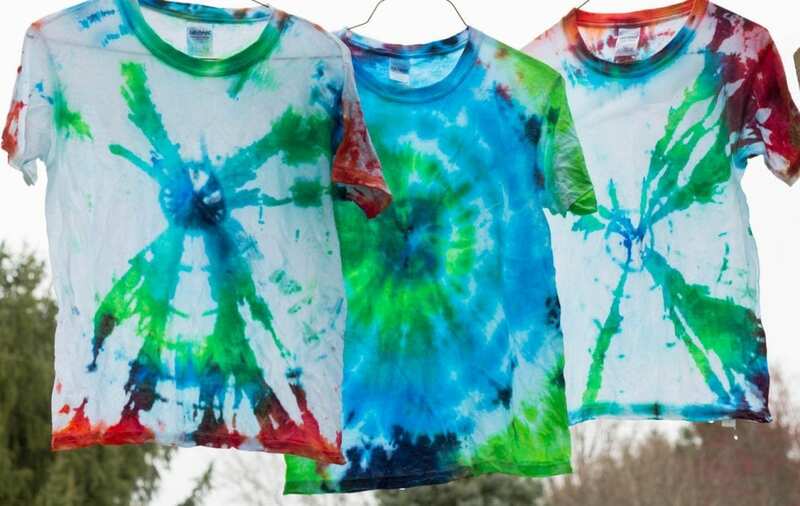 They everything you need to spark creativity in your children, from tie-dye to slime supplies. My kids had so much fun at the party and they love the shirts. I am one of the moms that prefer the no candy! I like how you made the decluttering easier for the families that came to the party. No bags of stuff not used! I just love how these turned out. I always wanted to do this with my Girl Scout troop easier to find them in a crowd. Love it! Thanks, mom! It was really helpful to spot everyone, especially in a busy crowd!